When businesses create websites, they want to be sure that they are easy to use and will attract the maximum amount of visitors. These sites pay users to review and test their sites, giving valuable feedback to website owners. When you sign up as a website tester, you will fill out a survey that includes your skills, preferences and experience. You will also fill out a demographic profile. This demographic profile will determine how many assignments you receive. If a website’s target customer is a male between the ages of 25-40, you will be contacted if you fit that descriptor. When you have been selected for the assignment, you may be asked to download software that tracks your keystrokes and reports back to the testing site. You may also be asked to use your computer’s camera and microphone to record your opinions while you use the site. You will then click through the site, testing out its features based on pre-set qualifications. When you have completed the testing, you will be asked to fill out a survey that serves as your review of the site. Since there are many sites that conduct user testing, it helps to register with multiple sites in order to get the best results. If you are registered with more than one site, you will have a greater chance of being picked for an assignment. User testing is an easy way to make money online fast while testing out your favorite websites. Some companies even offer video game testing and are very popular with testers. These sites pay an average of $10-$12 per test and you can often select multiple tests in one day. 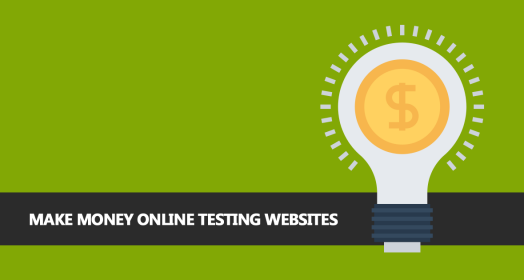 If you are looking to make money online fast, user testing may be just the ticket. There are many sites looking for quality testers, so these jobs are not hard to find. Get started in website user testing today.